As the current or future owner of a private jet, do you want financing for your plane? That’s no problem – or should we say, hardly a problem! There are dozens of potential financial institutions on the market. Financing using a combination of the private jet asset value and other moveable assets, which must be held at the same bank, e.g. in private banking. The financing costs for financing based exclusively on the private jet are often higher. If other assets can also be used to support the financing, thereby reducing the risk to the bank, this usually gets reflected in lower interest rates. Conversely, you have little freedom to independently choose your business dealings with banks. But if you want to enjoy more beneficial conditions, you are virtually forced to do parts of your banking through the institution providing the loan. Experience has shown that there are professional institutions capable of handling both cases. So it is your personal choice which type of financing you prefer. As financing a private-jet is a classic banking transaction, compliance requirements are nowadays often a central part of the jet-financer’s evaluation process. Our experience has taught us to place great emphasis on the customer’s ability to comply early on. Because there is nothing more demoralizing than having the whole operation completely negotiated, but then deemed “infeasible” by the Compliance Department at the last minute. Unfortunately this does happen. Financers differ significantly from one another in this area. Compliance checks at larger institutions may be more comprehensive and detailed, meaning they are usually done and completed at the start of the process preventing any negative surprises from delayed compliance objections down the track. If, as a private jet owner, you want to enjoy good financing conditions, we recommend appointing an operator before dealing with the banks. A good business-jet management company can secure you clear advantages in financing conditions. Why? A finance institution likes to know where its financed asset is managed, and by whom. A Swiss operator provides clear advantages here compared to one in some distant country. 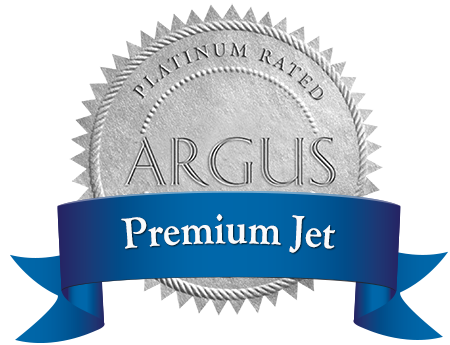 An operator with proven CAMO specialists, who attend to the private jet’s technical wellbeing, will guarantee the bank that the jet will still be in flawless condition even after 5 years and will not disproportionately lose value. An operator known to and accepted by the banks which abides by the legal regulationsposes much fewer risks for a financing company…and of course for the private-jet owner too. Experienced operators will have worked with (almost) all known finance companies over the years. They have the right contacts, and can also put you in touch with law firms specializing in aviation, who will assist you in setting up the infrastructure required to operate the plane.